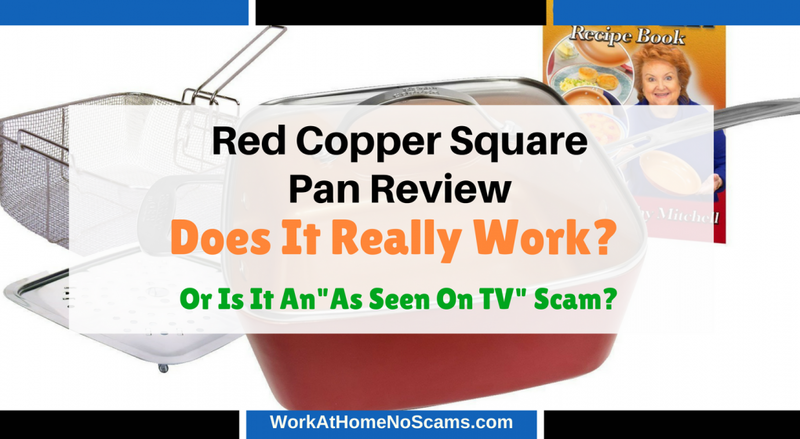 Red Copper Square Pan Review: Does It Really Work? When it comes to cooking, nothing is worse than the cleanup afterward. Even if you use nonstick pans, you can still be scrubbing burnt on food. The Red Copper Square Pan claims to end all that mess and make cleanup a breeze. But does it actually work? You have probably already seen and read other Red Copper Square Pan reviews available online. If you want all the details, including complaints, then read on. What is The Red Copper Square Pan? This as seen on TV Red Copper Square Pan is a ceramic nonstick cookware available on SquareDancePan.com. The product is from Cathy Mitchell and sold through the company Telebrands. The company's headquarters are located in Fairfield, New Jersey. How Does The Red Copper Square Pan Work? The nonstick cookware helps prevent food from sticking to the pan without using butter, oil, or grease. The product is made from ceramic and copper with an aluminum bottom. It claims to work as a roaster, skillet, fryer, and baking pan. The pan has high sides that prevent splatters. You simply wipe it clean when you are finished cooking. According to the company's instructions, you prep the pan for first-time use by spraying a light coating of vegetable oil inside the pan. You then place in a 300-degree oven for 20 minutes, remove, then let cool. Wipe off any excess oil with a damp cloth and you are ready to go. Made With Ceramic and Copper: The ceramic and copper materials keep food from sticking to the pan for easy cleanup. Square Design: The shape of the pan allows for more food than other nonstick cookware. Safe Up To 500 Degrees: The pan can cook foods in the oven up to a temperature of 500 degrees. PFOA and PTFE Free: The pan does not have the harmful chemicals found in Teflon pans and other nonstick cookware. Stovetop Frying: You can fry foods directly on your stovetop, even deep frying. Money Back Guarantee: You can return the product within 30 days for a full refund if you are unhappy with your purchase. Lifetime Replacement Guarantee: The company guarantees that the product is free from defects in workmanship. If you need to have the product repaired or replaced, you can notify the company. There is a $14.99 processing fee, however. How Much Does The Red Copper Square Pan Cost? Standard: Includes the square pan, dessert and recipe guide, fry basket, steamer rack, and tempered glass lid. Price is $29.98 plus $9.99 shipping and handling. Deluxe: Everything in the Standard version plus double layer scratch resistant coating. Price is $49.98 plus $9.99 shipping and handling. You can also find the Red Copper Square Pan for the best price on Amazon. The prices for this product vary from time to time. If you are a Prime member, you can receive discounted pricing as well as free shipping. You can get the Red Copper Square Pan cheaper if you check out websites like Ebates.com, Raise.com, and Swagbucks.com. These websites can give you discount codes, rebates, and promo codes to use to help you save money. 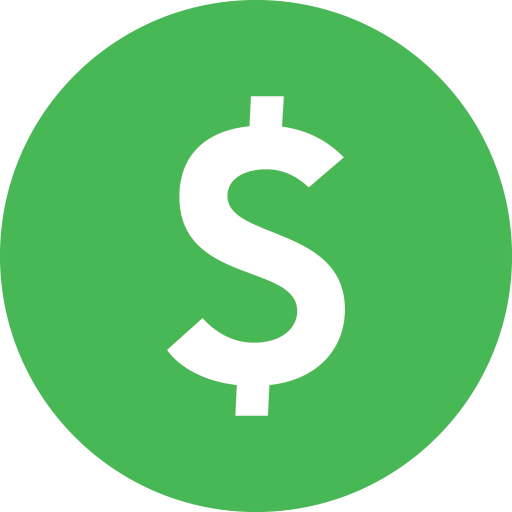 Ebates gives you special discounts on many purchases through your favorite retailers. Swagbucks will also give you discounts along with free gift cards and cash back. If you want to buy gift cards at discounted prices, Raise is an ideal choice. Shopping on Amazon.com can also save you money on purchases and shipping costs, especially if you are a Prime member. By stacking all these deals together, you can purchase the Red Copper Square Pan and other items at super low prices. If you've watched the infomercials this product seems amazing. But is it really all good? Well here are the complaints against the red copper square pan. Delicate Ceramic: Care should be taken when using the pan as ceramic can easily chip and break. Oils should not be used during cooking as this can decrease the lifespan of the material. The product can be seasoned twice a year with vegetable oil according to the company's instructions, however. Expensive Shipping Costs: The company charges an approximate $10 fee for shipping and handling. These costs are nonrefundable if you return the item for a refund. Misleading Advertising: The Better Business Bureau contacted the company in 2017 because the company's infomercial showed the product being used with metal utensils. However, the company's instructions state the product shouldn't be used with anything metal because it can scratch the pan and cause it to not work properly. The company did respond back to the BBB but didn't make any requested changes for truth in advertising. Legal Trouble: Telebrands received government action in 2014 for violating the New Jersey Consumer Fraud Act. The allegations include aggressive phone upsells, unauthorized charges, and not giving customers the chance to speak with a live customer service representative. The company was ordered to pay $550,000 in a settlement and revise its phone ordering system. Copper Chef 9.5″ Square Fry Pan: This ceramic and copper nonstick cookware is able to handle oven temperatures up to 850 degrees. It also has a stainless steel induction plate for fast and even cooking. It is priced at about $20 depending on where you purchase it. Potella 5 Piece Deep Square Copper Pan Cookware Set: This pan is 4 inches deep and is heat resistant up to 800 degrees. It comes with a fry basket and can handle oil being used in it while cooking. It costs around $40 depending on where you get it. Willow & Everett Copper Pan 5 Piece Cookware Set: This copper pan features a lightweight design and is scratch resistant and dishwasher safe. It works well on gas, electric, ceramic, and induction cooktops. The price is generally around $40. Does The Red Copper Square Pan Work? Overall, the Red Copper Square Pan appears to be a legitimate nonstick cookware product. The pan is affordably priced and comes with a 30-day money back refund policy and lifetime repair guarantee. However, shipping costs are expensive and the company has been accused of misleading advertising and consumer fraud. After reading all the Red Copper Square Pan reviews including mine, you have everything you need to make a purchase decision. Have you tried this product? If you have, please let me know your thoughts in the comment section down below. I'd love to hear from you!